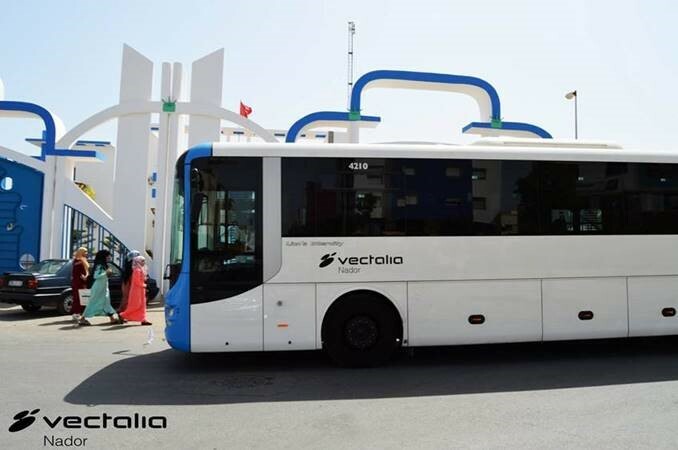 GRUPO ETRA has supplied and recently commissioned the Operations, Ticketing, Onboard Video Surveillance, User Information and Fleet Management systems of the urban buses for the Vectalia-Nador concession. These systems will be managing the public transport service within the urban area of the Greater Nador, in Morocco. The control centre with the operating control equipment, ticketing and passengers information systems. And, as well as additional management modules such as SAENEXT, DATOSSAE, REPORTSAE, GEM, GESTSAE AND ISAENEXT. The supply and installation of the onboard equipment: GRUPO ETRA’s CUBE system, video surveillance cameras, communication elements and passenger’s voice-based information components. Supply and installation of automatic tickets vending machines and user information panels in the stations. Other supplies such as vending and inspection terminals and contactless cards personalization centres. Finally, with this project, GRUPO ETRA, leader in the sector of urban mobility management, reinforces its transport activities in North Africa, providing the first technological solution in Morocco that combines: Operations, Ticketing, Onboard Video Surveillance, User Information and Fleet Management over one single integrated on board equipment. It is foreseen that this successful project will, in the short term, pave the way for future implementations in other cities of this country.